One of the world’s leading authorities on leadership. 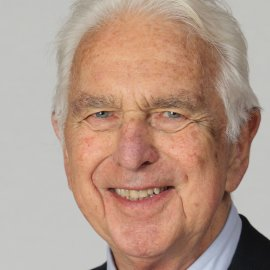 Warren Bennis was an American scholar, organizational consultant and author, widely regarded as a pioneer of the contemporary field of Leadership studies. Bennis was University Professor and Distinguished Professor of Business Administration and Founding Chairman of The Leadership Institute at the University of Southern California. “His work at MIT in the 1960s on group behavior foreshadowed — and helped bring about — today’s headlong plunge into less hierarchical, more democratic and adaptive institutions, private and public,” management expert Tom Peters wrote in 1993 in the foreword to Bennis’ An Invented Life: Reflections on Leadership and Change.